This lathe features technological advances that offer our customers the highest possible accuracy. The lathe has been fitted with a granite bench, hydrostatic slides and heads, linear motors and a vibration damping system. 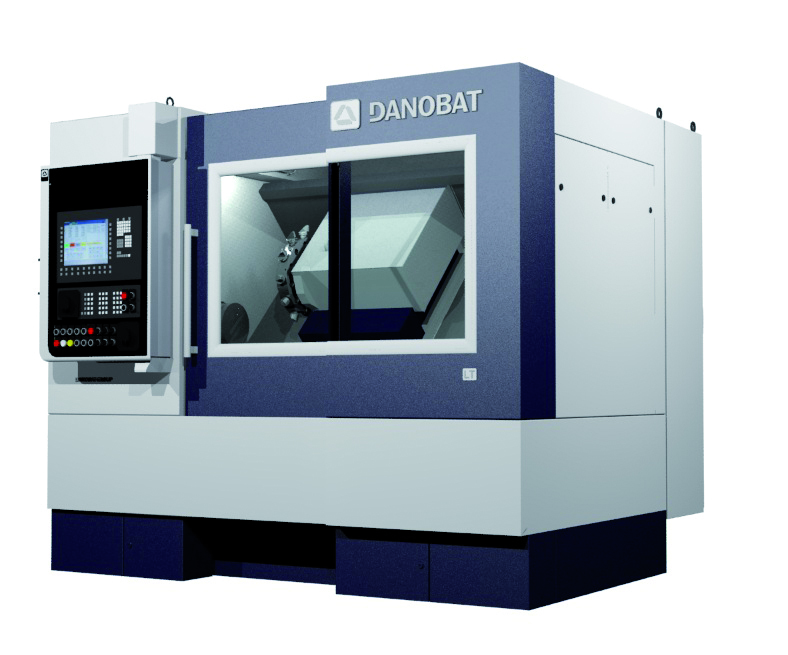 DANOBAT presents the LT-400 model, an innovative high-precision hard turning lathe at the major European metal-work fairs in the coming weeks. With this machine, the company firmly commits itself to incorporating new technologies that provide customers a competitive advantage in their production systems; machining of parts is done in one single set-up, without any need for subsequent machining processes. The presentation of the new lathe will take place at two main European metal-work fairs: AMB, to be held from 16 to 20 September in the German city of Stuttgart, and BI-MU, which takes place from 30 September to 4 October in Milan . The LT-400 is based on extensive experience of the Basque firm in manufacturing lathes, grinders and other machine tools, a know-how that, combined with the capacity to deliver turnkey solutions to customer solutions, makes this hard turning range one of the most innovative options in the sector. The new lathe is specially designed to work with both cylindrical and non-cylindrical parts, which makes it ideal for industries such as the automotive, hydraulic components, tooling and die precision parts, parts used for capital goods and all sectors where absolute finishing precision is required for parts with a high hardness. There are several factors in the design of the machine that make the LT-400 an exceptional lathe offering the highest accuracy levels on the market. First, the granite bench offers thermal stability, greater vibration damping, and the geometric precision remains unaltered over time because of the residual stress free properties of the material. This makes the work area much more stable than if other materials were used for this. In addition, the bed is sloped at 45 degrees to facilitate optimal chip removal. Equally important is the integrated vibration damping system, which provides optimal isolation of the work area. Also, the cross slide assembly equipped with contactless hydrostatic technology, guarantees zero wear on the guiding system, avoids the stick-slip effect and provides high damping. The hydrostatic system ensures thermal stability as the oil temperature is constantly monitored. The linear motors of the X and Z-axes, governed by optical encoders, are cooled at a controlled temperature. Moreover, these motors significantly extend the maintenance intervals compared to other traditional transmission systems as they lack in-between mechanical items. The head stands out as well, not least for its hydrostatic bearings and built-in motor, both cooled, but also because of the high-precision encoder mounted directly on the spindle shaft. The new LT-400 lathe also offers the possibility of including other machining operations. Machines can optionally integrate several types of automated loading and unloading . According to Javier San Miguel, Director of DANOBAT Turning business unit, the added value of LT-400 'does not only lie in the high accuracy of the machine'. He points out that 'we combine our knowledge of machine tools and production systems with the customer's know-how regarding their production process which enables us to provide an optimal and customized solution.' About DANOBAT DANOBAT is a cooperative and forms part of the DANOBATGROUP specialised in innovative solutions in machine tools and production systems. The Basque firm offers high value-added solutions in the field of grinding, cutting, drilling and turning, as well as turnkey solutions for the rail industry and automation of production systems for structural composite parts. DANOBAT, which has its own R&D centre, develops both turnkey solutions and machines for specific applications for industrial sectors such as aerospace, rail, automotive, wind energy, industrial resources, subcontracting workshops, metal structures and OCTG. It has production plants in Elgoibar , 11 branch offices, and an extensive sales and service network worldwide.